RIDE Foundation (Robyn & Italo Dance Events), formed by Pro-Am ballroom dance partners, Robyn Shreiber and Italo Elgueta, has announced that its 2nd annual gala event, DANCE FOR FREEDOM, will benefit two of Los Angeles’ leading organizations who are dedicated to fighting human trafficking – CAST (Coalition to Abolish Slavery and Trafficking), and Journey Out. RIDE was established in 2016 to create one-of-a-kind dance events for difference-making charities, encompassing humane and ecological causes and featuring the talents of compassionate stars of the dance world. Dance For Freedom will be held at 6PM, at the Broad Stage in Santa Monica, with a program featuring top dance and vocal performances produced by Tony Award-winning producer Scott Mauro. 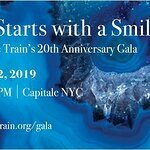 “We are thrilled to have both CAST and Journey Out as the beneficiaries of our 2nd annual gala event,” say Robyn and Italo in a joint statement. “CAST CEO Kay Buck, and Journey Out Executive Director Dr. Stephany Powell, are two incredible women whose tireless work and unwavering advocacy has saved the lives of many women, children and men. We both had learned so much from Kay and Stephany about this horrendous crime, and had the opportunity to experience the work that both organizations do to fight human trafficking. We are truly honored to honor them with the RIDE Champion Award,” they add. “Survivors of human trafficking are some of the most resilient individuals I have ever met- resilience that is strengthened by healing arts programs. Trafficked from over 59 countries to Los Angeles, CAST uses dance and music therapy modalities to bring healing and rehabilitation to survivors, and helps them build a community among each other. Dance is one of the unique languages that everyone can speak at our shelter, and demonstrates the extraordinary power of dance to support survivors in their journeys to heal and rebuild their lives, " says Kay Buck. “There is so much more critical work that must be done to stop human trafficking, and help those who have been victimized. We are incredibly grateful to Robyn, Italo and everyone at the RIDE Foundation for choosing CAST as a beneficiary of Dance for Freedom,” she adds. Brooke Burke is Dance for Freedom’s emcee. Dancing with the Stars’ Cheryl Burke and actress Kate Bosworth are presenters. This year, RIDE will present Carrie Ann Inaba with its inaugural Artistic Integrity Award. The RIDE Artistic Integrity Award celebrates members of the entertainment industry for their outstanding professional accomplishments in dance and choreography, and for their heartfelt humanity that has made a difference for a multitude of worthy causes. Inaba, a veteran choreographer most recognized as a judge on ABC’s Emmy Award-winning “Dancing with the Stars,” as well as for her work on such popular series as “American Idol” and “So You Think You Can Dance,” is a spokesperson and advocate for many causes, including Drea’s Dream, a national program that raises funds for dance therapy for pediatric cancer patients, as well as The Animal Project Foundation and Best Friends Animal Shelter, for which she serves as a celebrity ambassador. Actress Constance Marie will present the Award to Ms. Inaba. Dance for Freedom sponsors include Tito’s Handmade Vodka, LeNique exclusive designer dancewear, and doTERRA Wellness Advocates. Los Angeles magazine is Dance for Freedom’s media partner. In 2017, RIDE held its inaugural gala event, Dance for Africa. The star-studded event raised funds for the African Wildlife Foundation, whose mission is to ensure that wildlife and wild lands thrive in a modern Africa. Tickets to Dance For Freedom can be purchased online at www.RIDEvents.org.